New Building and Yoga at Kibowa Orphans Centre!!! Located in Mkonoo Village, outside of Arusha, Tanzania, Kibowa Orphans Centre is supported by Terrawatu. 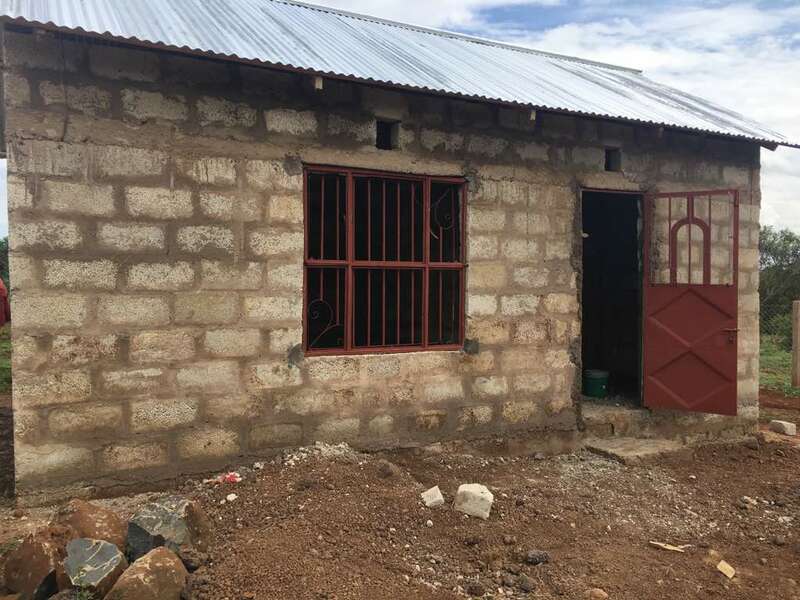 As of this writing, a new office and storage facility is nearing completion and new, locally-constructed furniture is being procured for the orphanage. Co-Director Lekoko Ole Sululu has just completed his Yoga Teacher Training at the Africa Yoga Project (AYP) in Nairobi, Kenya and has initiated Yoga Class Outreach with the children at Kibowa. This is all great news for the 27 orphans at the centre, giving everybody hope for a brighter future. Financial support is still needed this year to support the student-residents at Kibowa in providing them with food, clothing and school supplies. If you would like to sponsor a child at Kibowa Orphanage for one year ($250) go to Terrawatu's donation page. More about Kibowa Orphans Centre can be found on our website. People-to-People Safaris has a new Website!!! Founded in 2004, the People-to-People Safaris company has been supporting the projects of Terrawatu through both financial donations and the service projects completed by guests during their time in Tanzania. People-to-People Safaris specialize in Culture & Wildlife Tours and Healing Safaris. Thinking about traveling to Africa for a safari? Book with People-to-People Safaris and know you will have an amazing experience of a lifetime plus you are traveling to do good in this world! 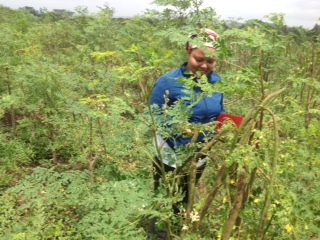 Project Director Angella Marcel has begun work with women in Terrawatu's tree-planting networks to cultivate the Moringa tree (Moringa oleifera). Known to improve malnutrition, boost the immune system, enhance milk production in cattle and pregnant women as well as help tackle soil erosion and provide shade, the cultivation of moringa can have multiple benefits for rural communities. 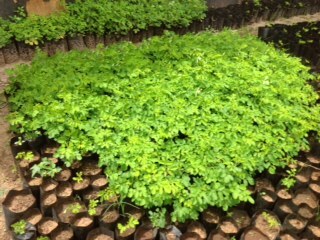 To begin, 50 seedlings have been planted in Mkonoo village. While we wait for the plants to reach maturity, Terrawatu -- in collaboration with JSFoundation of Belgium and Karatu, Tanzania -- is training and investigating ways to process and utilize the plants in the most efficient way. Go to Terrawatu's donation page to begin supporting this important initiative. Target your impact with specified support for a child at an orphanage, moringa cultivation or mobile technology for students. You can easily set up monthly, quarterly or annual giving. Amazon will automatically donate .5% of your purchases to Terrawatu with their Amazon Smile program. 2. Sign in and register your supported charity as 'Terrawatu Inc' (Amazon will remember our charity next time you sign in). 3. The most important step . . . Shop smile.amazon.com (amazon.com should automatically re-direct to smile.amazon.com once you register) and also still qualify for Prime Shipping and all of Amazon's great deals. Now you can shop for the things you need and support Terrawatu at the same time! Awesome, right? There are a few bags left in the 2018 Collection of Maasai Leather Bags. 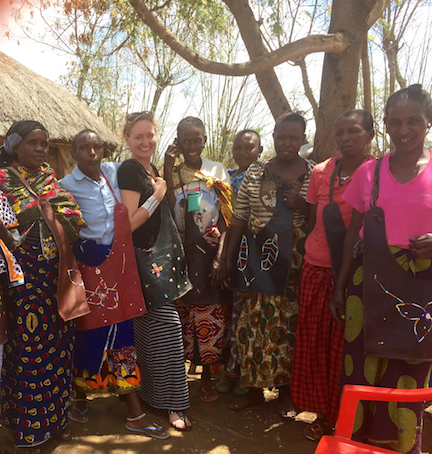 Terrawatu's Women's Group in Mkonoo Village produced a limited number of these stunning, handcrafted leather bags, each one with a completely unique design. Truly, each bag is one-of-a-kind. They are available for purchase in the United States and Canada. Its design is modeled after the traditional bag used to carry water. The leather is sourced from local cattle after providing people with an important food source. 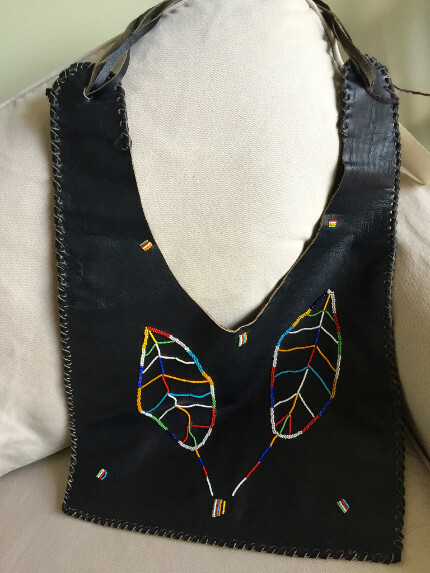 A Maasai woman has hand-beaded each bag in her own creative style which she hopes you will enjoy for many years to come. Your purchase of a handbag provides much needed income to the women of the village so they can help support their children. Copyright © 2018 Terrawatu, All rights reserved.